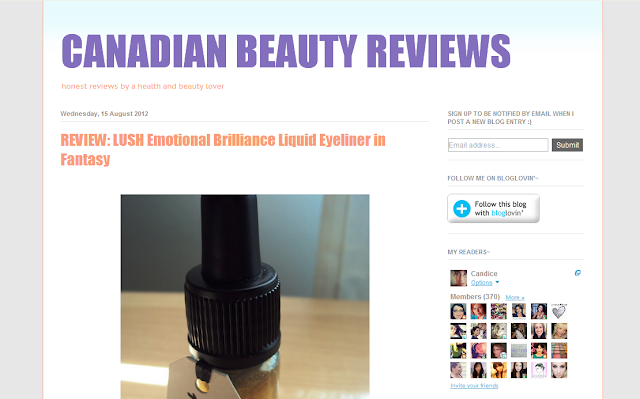 This week's Fabulous Blogger is "Canadian Beauty" at Canadian Beauty Reviews. I love a descriptive title and there you have it! She's Canadian and does reviews of beauty products! I love the emphasis she puts in both her blog description and profile about wanting to write honest reviews of products and her honesty definitely shines through in the way she writes her posts. I also notice that she holds others (like companies) to the same standard of honesty and that to me reinforces the honesty value of her blog. Oh my goodness *blushes* THANK YOU SO MUCH for featuring me :) I really appreciate your kind words, I am grinning from ear to ear! I truly do my best to always be 100% honest with my readers because that is what I expect from anyone reviewing a product-- I am glad you appreciate that! Thank you for being such a loyal reader and fellow blogger- I love your honest reviews as well! 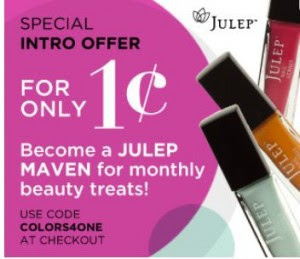 Awee I love Canadian Beauty Reviews blog as well! It is for sure a great one!